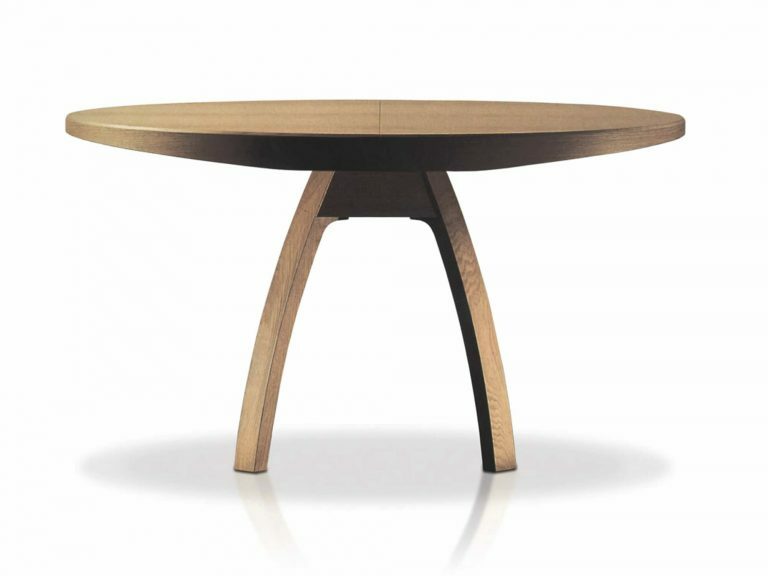 Table, Triangolo, BRAMANTE TABLE, Enrico Tonucci. 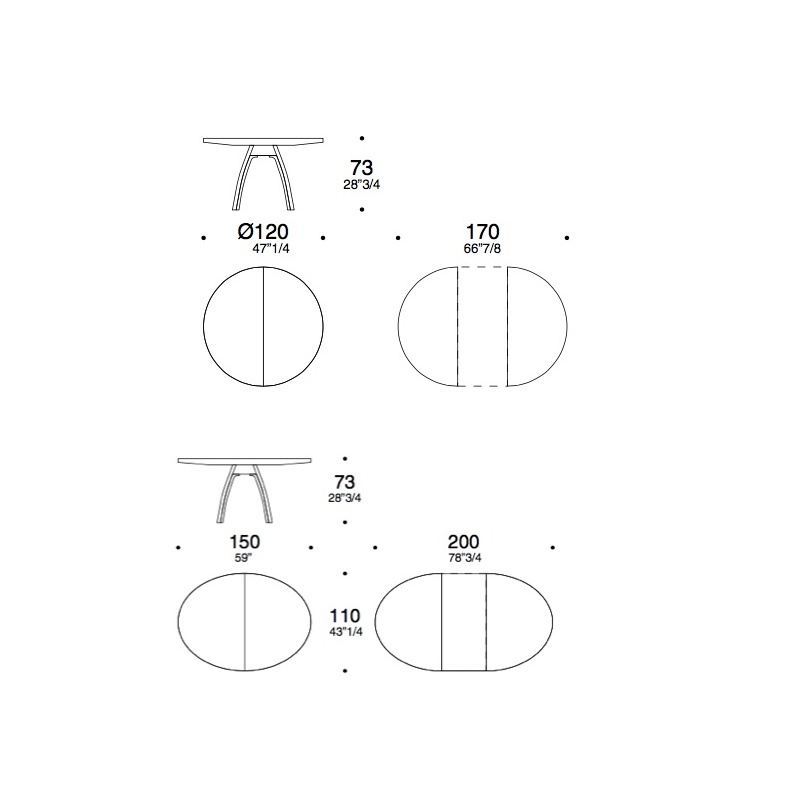 Extensible round or oval table in solid barrique oak wood, natural or stained open pore oak in white or dark grey lacquer. 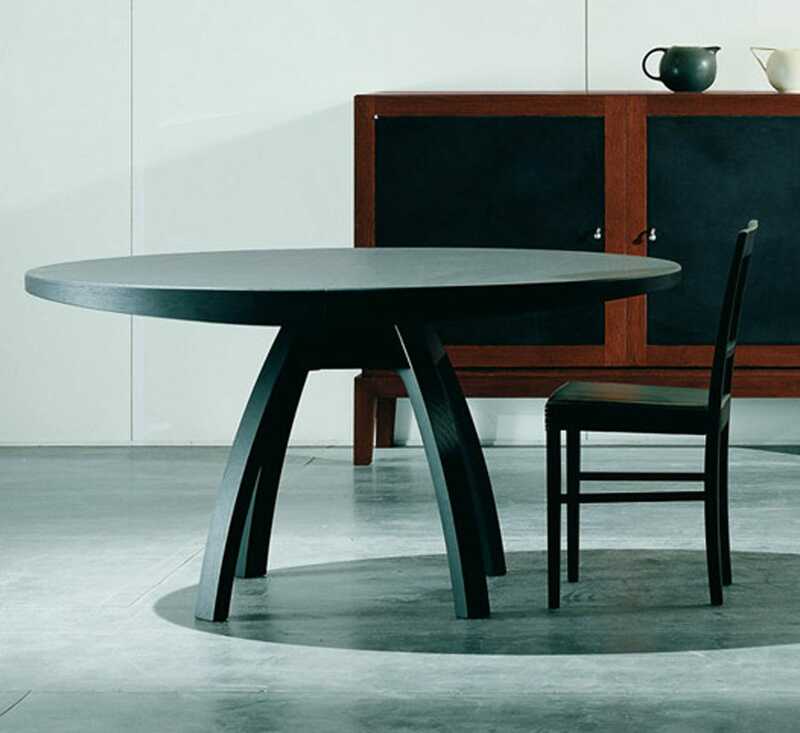 This particular central base ensures stability when the table is extended and allows complete flexibility of seating arrangements. More lacquered option on request.